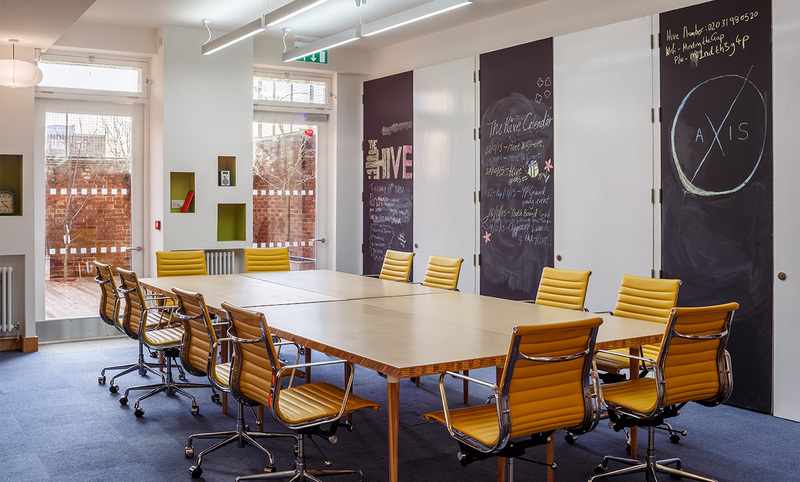 Built in the early 1960s on the busy Finchley Road, a former post office at the corner of a parade of shops and flats has been transformed into The Hive, a youth community hub and advice facility. 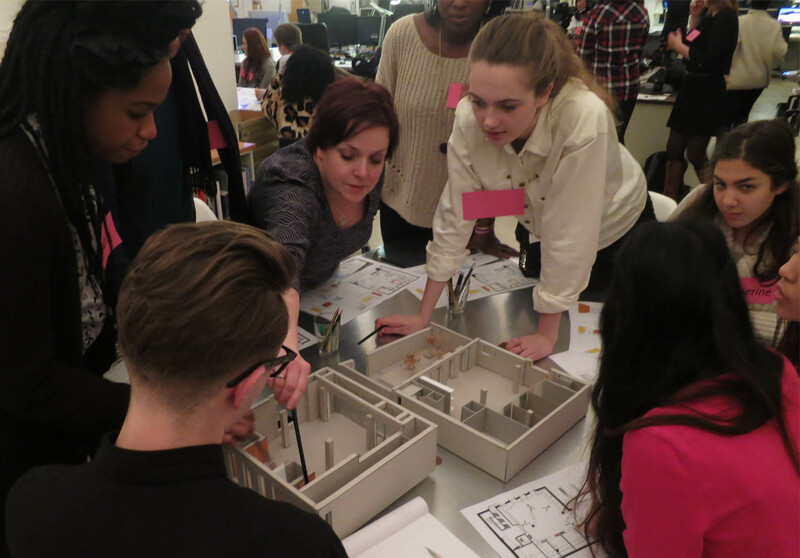 Ash Sakula was commissioned to collaborate closely with young people to design and deliver the project. The aim was to provide a space where local teenagers can access counselling, sexual health services, employment advice and training, as well as study, take part in activities or simply hang out. Not only did the project rejuvenate a run-down building and create much-needed community space, it has also bolstered local young people by getting them involved in the process. 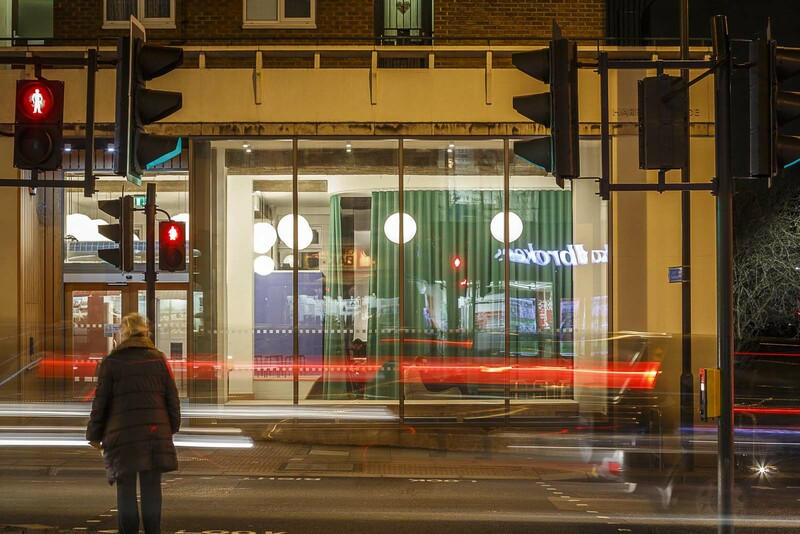 Richard Lewis, Director of Commissioning at Camden Council said, "To have the amount of activity that’s going to be here in a small space is an amazing achievement. The main open space with its curtained-off cinema is a real triumph. To be able to do that and have it co-designed by young people at the same time seems like a really tricky thing to have pulled off. It's functional but also welcoming and you don't often see buildings being able to do the two things at once. It’s designed by young people for young people: they’ve helped design it and that is what is so fantastic about it." 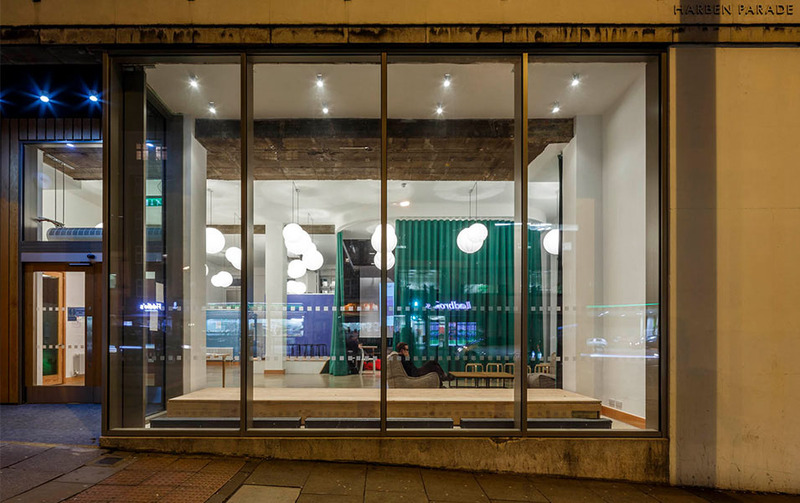 The ground floor reception space was designed to be open and inviting with comfortable seating. 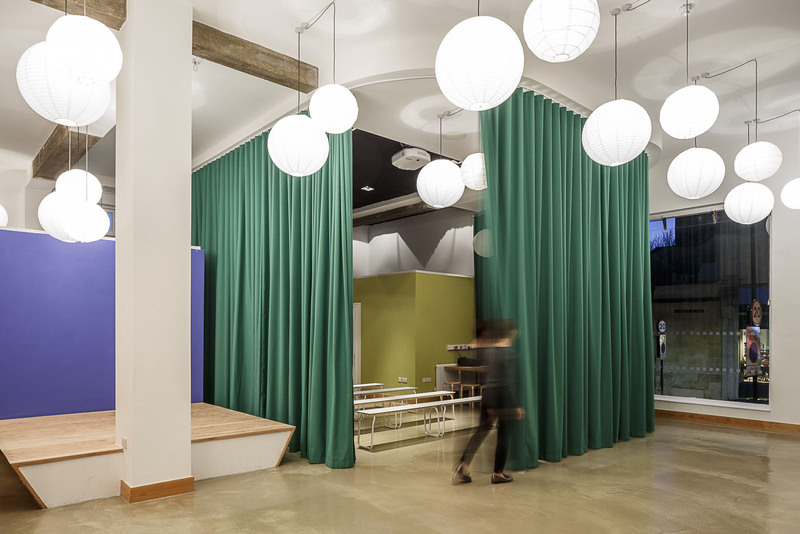 The sill of the front window was lowered to make the facility more visible and welcoming, and a green-curtained cinema area and enclosed meeting spaces were created. 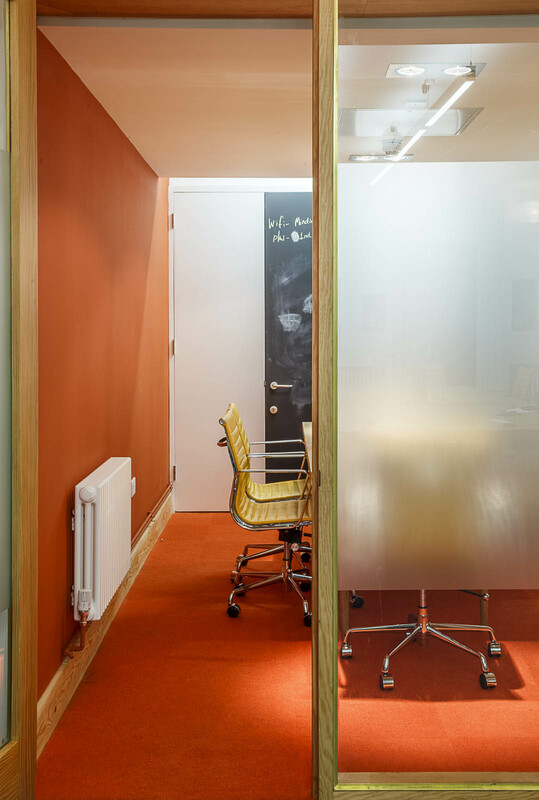 The lower floor is made up of e-learning facilities and private consultation rooms while co-working tables and a large, family-style kitchen area engender a hospitable informality. An important third environment has been created by modifying doors and windows on the south-facing, rear facade and turning a joyless concrete yard into a decked garden. Three fruit trees introduce shade and seasonality to the outdoor space, and deep planting boxes give young people the means to get involved in growing and tending produce together. Working with a board of young people, we transformed this drab and unloved shop into a place that is appealing and accessible to young people. 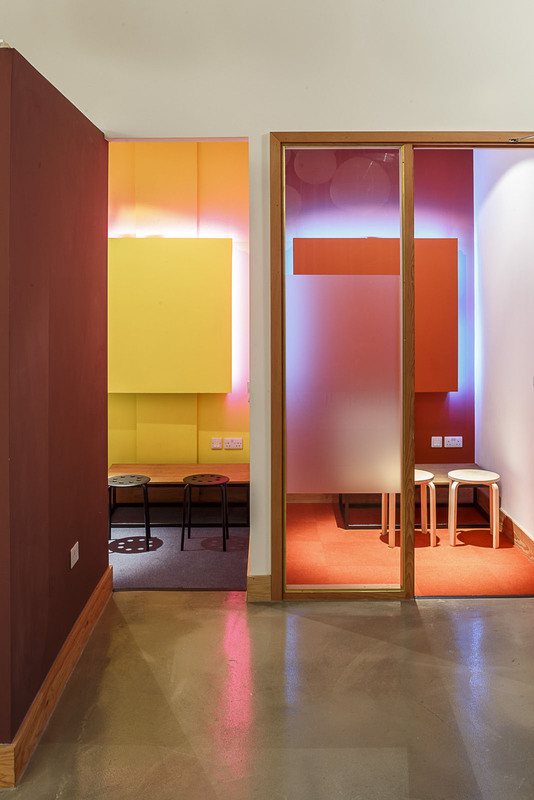 The project’s intention was to help young people overcome their natural reluctance to access advisory services by creating as many reasons as possible for them to come in and use the building. 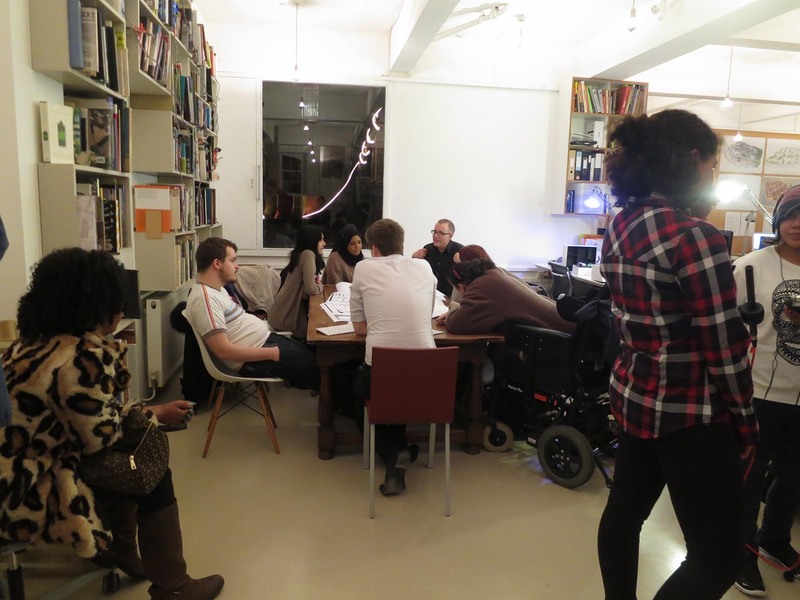 By involving them in planning and designing the centre we were able to identify a mixture of uses that would help remove what they perceived as the stigma of needing to visit these kinds of services. 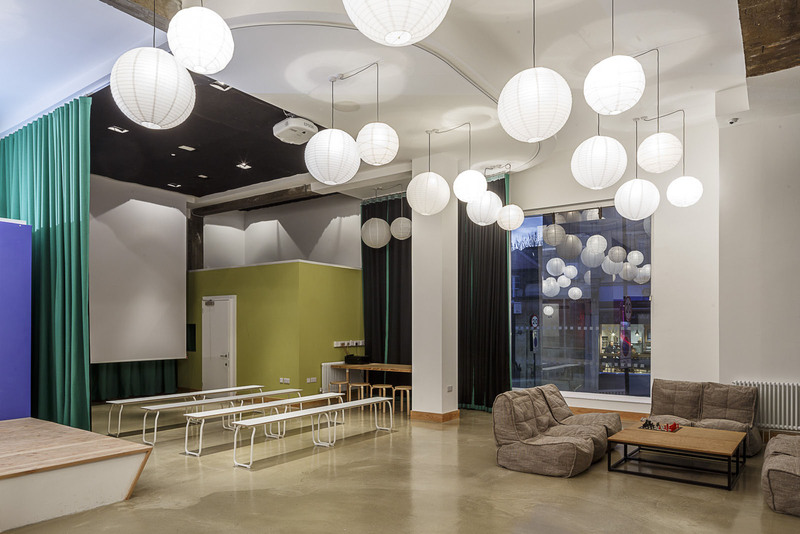 Ash Sakula’s sensitivity towards the end-users of this project can be seen in the welcoming and comfortable qualities of these interiors, which invite interaction and offer solace to make this, quite simply, a lovely place for young people. 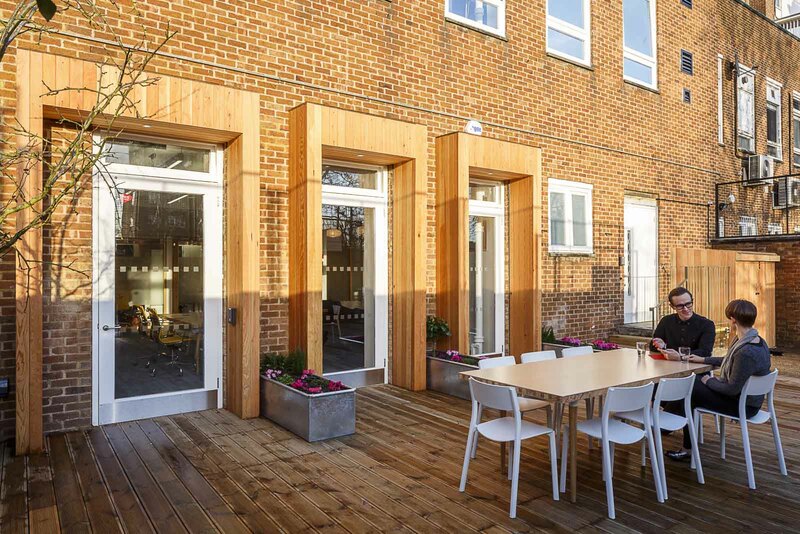 Camden’s aspiration was to involve the young people at every stage of the project, not only in designing the space but also in designing the services that they would be able to access. 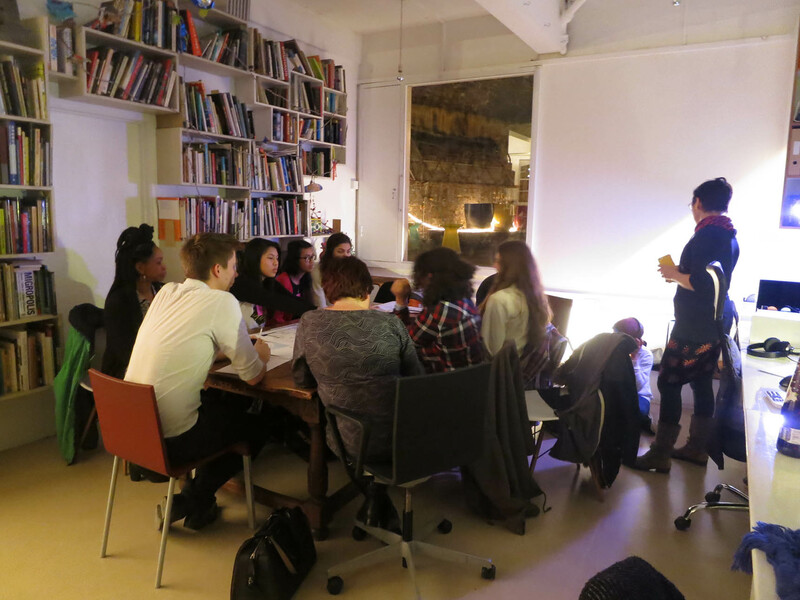 With this in mind, Ash Sakula collaborated with Camden council to set up a co-design programme, coordinating and running meetings and sharing information at every stage from concept to delivery. The heart of this project was the Young People’s Board made up of local young people from diverse backgrounds, with whom we worked closely at every stage of the project, from initial site visits to the choice of colours and furnishings. Collaborating with such focused and thorough young people, and witnessing their pragmatism and thoughtfulness, was a fulfilling experience as it is rare to have the opportunity to work so closely with a project’s end-users. 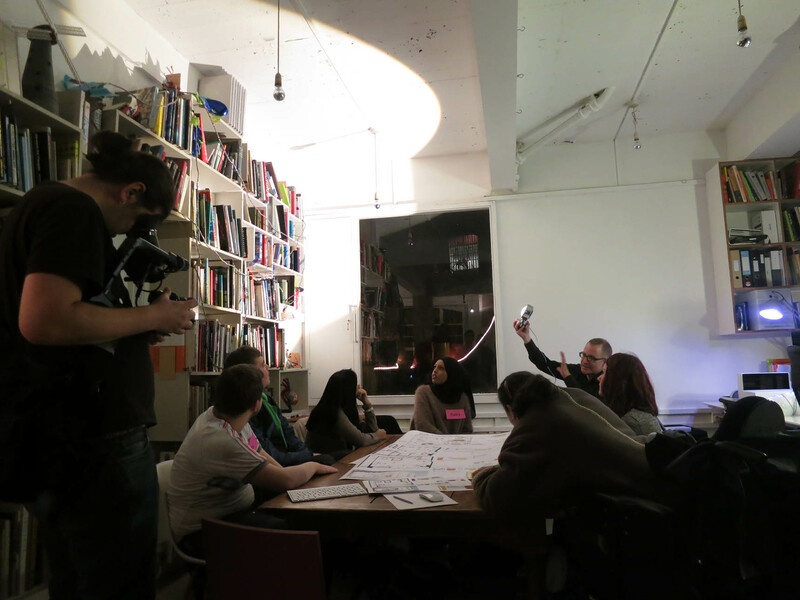 The co-design process made it possible to pinpoint exactly what it was the centre’s users required – a process that is so often overlooked – and to allow young people the autonomy to decide not only what services they require, but how they are provided, giving them a sense of ownership, responsibility and pride. Read more about co-design here.